Yes, it’s officially the holiday season! You can feel the festive spirit is all over the place. Let decorate your house and your tree to celebrate this wonderful time of the year. Don’t forget to take a look at new phpFox apps and themes in November, and gear up your Social Network with the best products. This simple app helps Admins to choose a specific page to redirect their users after they have logged out. You can use the default page by keeping goodbye in the field. The app support SSL and non-SSL domain or page to redirect. The app is a powerful administrative tool which allows Admins to easily create users on the fly right from AdminCP. 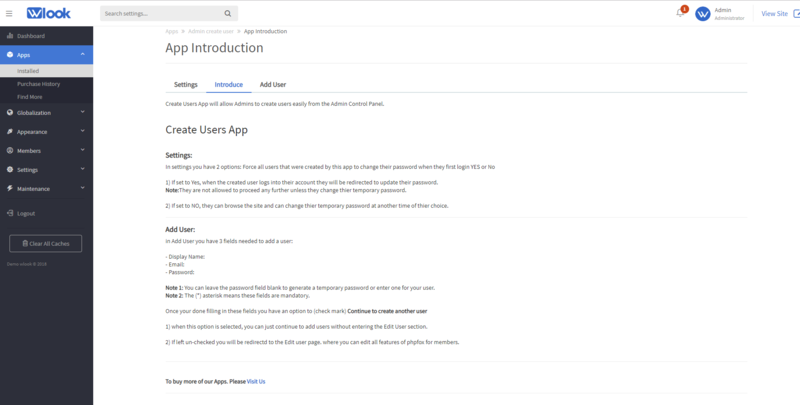 When adding a new user, Admins has 3 basic fields needed to add a user: Display Name, Email, Password. You can leave the password field blank to generate a temporary password or enter one for your user. Additionally, you can force to change the password on the first login or disable changing password. Another great choice when you want to demonstrate your community. No Password Login app allows users to login without a password. Basically, whenever users want to sign in, the system will send them a one-time link via email. With this URL, users can sign in without asking for a password. Drawings are often used when users have a special event, want to congratulate someone, make a compliment or simply talk with each other. 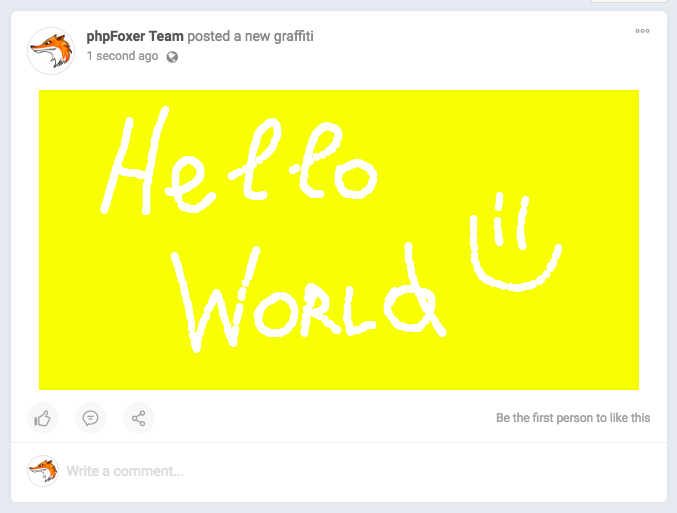 Graffiti app adds the ability to create graphical messages posted into activity feed that can be drawn by hand using multiple instruments. The specialty is in another kind of presentation – Members can see not only text but a bright picture that attracts more attention. With this app, your site works as a business directory. 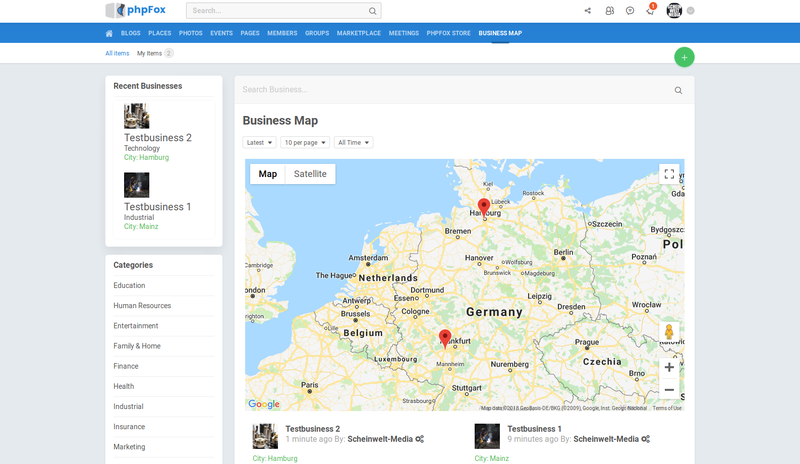 Businesses are showing up on a map and can be filtered by categories. Users can also search businesses by country, city, street, name, and words within the description. The app stops spammers from spamming your mailbox via Contact Us form on your site. Simply just select a User group to Turn On/Off the access to the form for that group. to your contact us form. Ratings are very important to let potential users decide if it is worth their time to signup for your social network. With this app users can rate your social network site. The latest ratings show up in a block with a link to all the ratings. 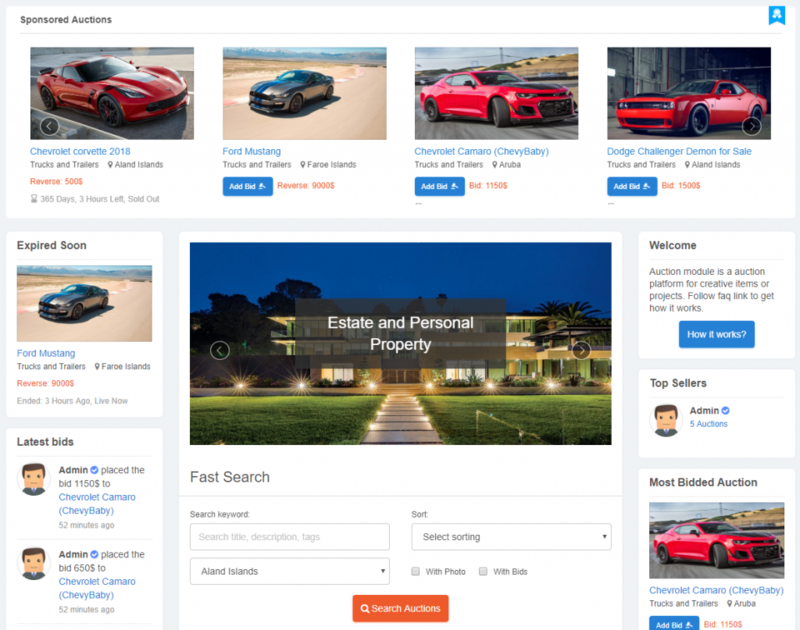 This module was created to give merchants the ability to sell products on auctions in easiest possible way. Auctions are a great way to attract and keep customers in your social network. You will be sure that customers are paying the right price for your products. You don’t have to negotiate prices with customers anymore. Managing auctions is very intuitive, and fully integrated with your Phpfox. If you want to learn more about the functions and features of these new products, you can contact directly to our third-party vendors for inquiries. Or you can let us know your thoughts on these products by writing to hello@phpfox.com or create tickets in Client Area. Also, in case you want to customize these apps to your own needs, you can ask our Experts to assist you on your tasks. As you may know, the very new version 4.7.1 was just officially released. We have been receiving much positive feedback about this release. You can purchase phpFox right now to enjoy these above perks just by clicking on the button below. That’s it for a pleasant November. Remember to subscribe to our newsletter to receive the latest news and deals on upcoming Christmas and New Year promotion from phpFox.